Fact: Nearly 1/2 of the world’s population — more than 3 billion people — live on less than $2.50 a day. More than 1.3 billion live in extreme poverty — less than $1.25 a day. VILE – Seven years after the global financial collapse, regulators and investors are still working through an epic pile of lawsuits and other civil actions against Banks, for a long list of wrongdoing where fines so far totals over $200billion – and that is just in the US. Those fines would have kept global poverty at bay for the same seven years. UNICEF: 70 per cent of 11 million child deaths every year are attributable to just 6 causes: diarrhoea, malaria, neonatal infection, pneumonia, preterm delivery, or lack of oxygen at birth. Fact: One billion children worldwide are living in poverty. 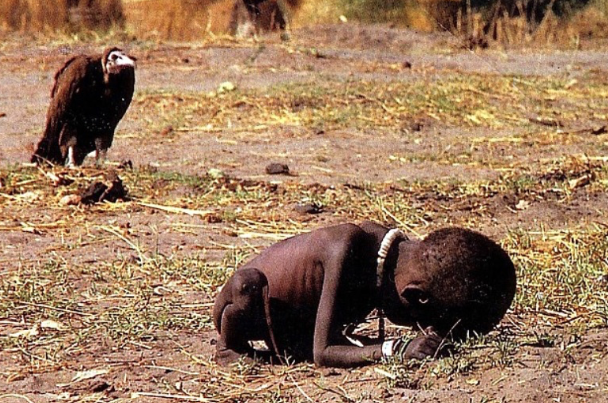 According to UNICEF, 22,000 children die each day due directly to poverty, the vast majority are preventable. VILE – The largest U.S. banks were penalized for their role in inflating a mortgage bubble that helped cause the ‘global’ financial crisis. They have been fined over $110 billion for the one crime of mortgage fraud. Not a cent of that money has gone to helping those countries that desperately require financial assistance as a result of non-payment of promised aid due to the financial crisis itself. One third of those fines would stop the mortality rate in it’s tracks. UN: 85% of the world population lives in the driest half of the planet. 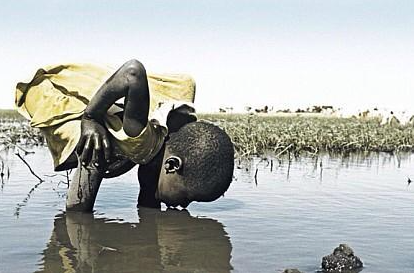 783 million people do not have access to clean water and almost 2.5 billion do not have access to adequate sanitation. 6 to 8 million people die annually from the consequences of disasters and water-related diseases. Fact: More than 750 million people lack adequate access to clean drinking water. Diarrhea caused by inadequate drinking water, sanitation, and hand hygiene alone kills an estimated 842,000 people every year globally, or approximately 2,300 people per day. In total, the UN estimates that 6 to 8 million people die annually from the consequences of water-related diseases. VILE – Despite grand statements from world leaders, the debt crisis is far from over. Creditors have still not delivered on the promises they made nine years ago to cancel unpayable poor country debts. As a result, many countries still have to spend more on debt repayments than on meeting the basic needs of their people. The total sum required to pay it all off – about 10% of the money illegally stashed in off-shore tax havens. By Graham Vanbergen – I don’t apologise for trying to explain in some depth what the banking industry is capable of and the damage this one industry can inflict on the entire world. On this occasion we’ll look at shadow banking and make some comparisons. 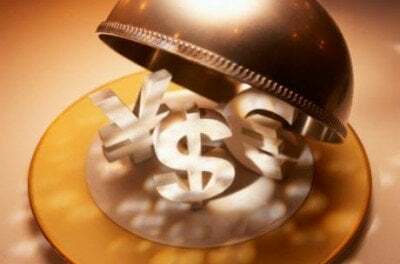 Shadow banking is a system that refers to the financial intermediaries involved in facilitating the creation of credit across the global financial system but whose members are not subject to regulatory oversight. The shadow banking system also refers to unregulated activities by regulated institutions. Not all shadow-banking is criminal but a substantial part of it is. Most shadow bank entities are incorporated offshore and enjoy the tax and regulatory privileges offered by these places. It was, therefore, warranted to target OFCs after the crisis – one of the most immediate and publicly discussed policy reactions of the G20. However, the regulatory response toward OFCs and shadow banking falls short. I submit that the regulatory reaction largely serves a symbolic purpose to acquiesce popular sentiments without having actual effect. Tax Justice Network writes – Politicians can be seen to “do something” about the banking industry by cracking down on secrecy for instance, but this obscures large and powerful malign forces, which they have written extensively about. The key reasons for this failure to act seriously, Rixen argues, are firstly ‘jurisdictional competition’ – a fear of putting into place serious safeguards for fear that the often abusive activity will flee to more friendly climes – and secondly, what we call ‘state capture’ – where financial interests effectively control the policy-making apparatus, particularly in small jurisdictions. And of course a key component of that capture is this ‘jurisdictional competition’ – the ‘don’t regulate us too much or we’ll flee to Geneva or Singapore’ cry that we hear all the time, in country after country. It doesn’t get any better when in the same report it says that the “OFI assets in the 20 jurisdictions and the euro area reached 128% of GDP in 2014, up 6 percentage points from 2013 and 15 percentage points from 2011. It is nearing the perilous high-point of 130% prior to the financial crisis. The report concludes on the global banking system by determining that assets in the 26 jurisdictions remained roughly at $135 trillion. The US and UK have 40% and 11% respectively. Amazingly, by comparison to this highly complex paper produced each year by Britain’s Financial Stability Board, painfully and graphically laid out with pie-charts and tables, that there is no conclusive research by any organisation in the world what global hunger actually stands at. Although a few make claims through various forms of research, there is no authoritative paper on the actual number that everyone agrees on. One claim that PolitiFact had a go at was that the Iraq war cost around $2trillion and that the cost of solving the global hunger crisis for around one billion people would be $30billion annually. The article was more about disputing the fact that global hunger could be eradicated with $30billion a year than realising the incredible resources available should the latter be used for human assistance and not carpet bombing the innocent or simply neglecting them. In the meantime, It is not unreasonable to conclude from recent evidence that tax havens are shielding as much as $32 trillion illegally stashed away from tax authorities, now simply a technical device of diverting wealth, that is suffocating and starving entire populations across the world. Taxing the shadow banking industry 0.5% (called the Robin Hood Tax) and tax havens by say 10% (lets call it ‘tax due’) which represents less than half what would be due in many countries if it was correctly paid, would produce well over $1 trillion. By any stretch of the imagination, half that that would solve global hunger, poverty and the refugee crisis instantly, irrespective of the minutia. In the UK alone, the Robin Hood Tax is estimated to be able to pay for 10,000 full-time permanent teachers. You can now start to imagine what a global tax could do. And as America and the EU make up well over half of global GDP and the Bank of England can specify exactly which country is doing what and where from a financial perspective – then taxing them should be no problem – given political will of course. But then, that’s the problem – political will.